WDC, a CSUS student-led club, is holding a one-day conference on intersectional feminism for students, faculty/staff, parents, alumni and friends. The conference is open to people of all genders and from all schools in the Bay Area. Click headline for details, view Agenda, bios of panelists, and register here. The conference will feature women leaders and activists who will speak on panels, lead workshops, and hold discussions on a variety of topics; there will also be activities geared toward Middle School students. View Agenda here. 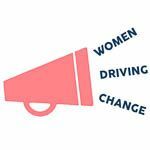 The conference theme of "Passing the Microphone” is about amplifying women’s voices and allowing women who are leaders in their fields to tell their stories and share insights into how we can drive change and how they are paving the way for the next generation of leaders. We will be highlighting specific sectors of gender equality, including women in the workforce, sexual harassment, and intersectionality. Admission is free and breakfast and lunch will be served. Register here. WDC is a CSUS student-led club which aims to empower women by debunking stereotypes and stigma, creating a safe place for women of all races, ethnicities, gender identities, sexual orientations, and backgrounds, raising awareness surrounding gender inequality, and teaching students how to be advocates in their communities.